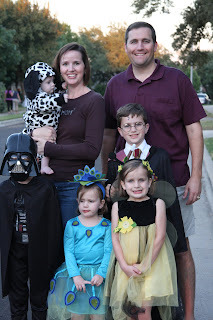 You are here: Home / Family Life / Top Ten: Harry Potter, I Heart You! 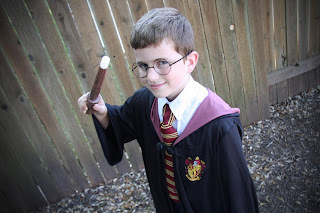 Top Ten: Harry Potter, I Heart You! If you follow me on Twitter or are my friend on FB, it comes as no surprise as to how much I love all things Harry Potter. I have my ten-year-old to thank for that love. When Will was in second grade, we finally caved and let him read book one. It wasn’t because we thought there was anything sinister about the series, it’s just that Will is a very advanced reader. Our challenge has always been finding age appropriate material at his reading level. But, after doing a little research and reading the first few chapters, Scott and I gave him the green light. He’s never looked back. He read the entire seven-book series FIVE times. As is the rule in our house, he had to read the books before he watched the movies. Admittedly, the first four books are mostly innocent, not too scary, reading. In book five, the series turns a little darker (as do the movies) and we didn’t allow Will to watch those movies until just this year. And, certainly, none of our other children have read or watched any HP just yet. As long as we feel they’re mature enough, we’ll let them all begin the series in second grade. Honestly, I just can’t say enough good things about the world of Harry Potter. Let me share the love, shall I? 1. It is a classic tale of good vs. evil, love vs. hate. There have been many an intellectual conversation we’ve had with Will as we discect the series. 2. It is superbly written. I’m all for a good plot, but one that has outstanding character development and solid and believable story lines is a winner in my book. Bravo, JK Rowling. Bravo. 3. Hermoine, one of Harry’s best friends, is such a great role model for my girls. I look forward to reading the book with them and seeing it through a girl’s eyes. That should be loads of fun. 4. For the record, I was right all along about Snape. If you haven’t read the series, I’ll just let that statement stand on its own. 5. It is one of those series that defines a childhood, in a good way. Rarely does a series come along that captures so much of what we try to teach our children. When I originally heard “witches and wizards” I started thinking “Wicked Witch of the West” from “The Wizard of Oz”. Yeah, this is nothing like that. No crooked noses and warts (well maybe a wart or two), but I never dreamed there would be the folly between twins Fred and George, the love of Ron’s mom, the bond between Sirius and Harry, the innocence of Luna, the admiration of Dumbledore or the selflessness of Neville. 6. I love how everytime I re-read a book, I read something new. I swear JK slips in new things when I’m not looking. Scott and Will swear it’s because I read too fast. If memory serves me correctly, I read the entire series in a little under two weeks. Benefit of waiting until all the books are out! 7. It breaks my heart to think that Harry never really knew his parents, especially his mom. When I think of my own children and my relationship with them I am reminded of what a unique bond that is. Yet, as Neville so beautifully says, “May those that died live within our hearts.” It is this piece of the story that reminds me sometimes life is not perfect, yet it’s still worth living. 8. If my 17-year-old EVER runs away from home to save the world, I will cut off his toes. But, it’s totally okay that Harry, Hermoine and Ron do it. 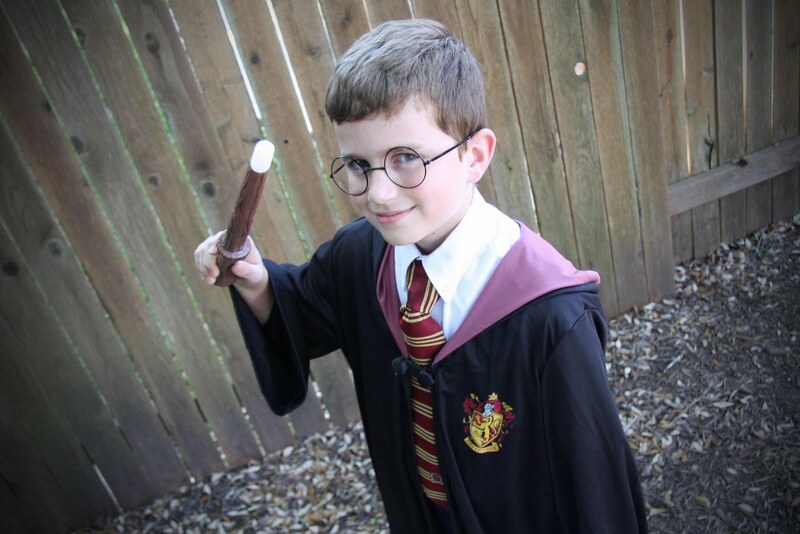 They have wands, for goodness sake! 9. I love that the last book made me cry. By nature, not a big crier over things like TV commercials, E.T. or touching documentaries. I’m touched, but I rarely shed a tear over that stuff. Perhaps it was because I really felt like I’d come to know the characters. That last book got me. I’m going to be a hot mess at tomorrow’s movie. Better take some kleenex. 10. I think it’s darn near awesome we’ve been able to see two of the movies in the theatre with Will…yet, it makes me sad that we don’t get to do that with the others. Guess we’ll just have to crank the BluRay, pop some popcorn and do the best we can at home! 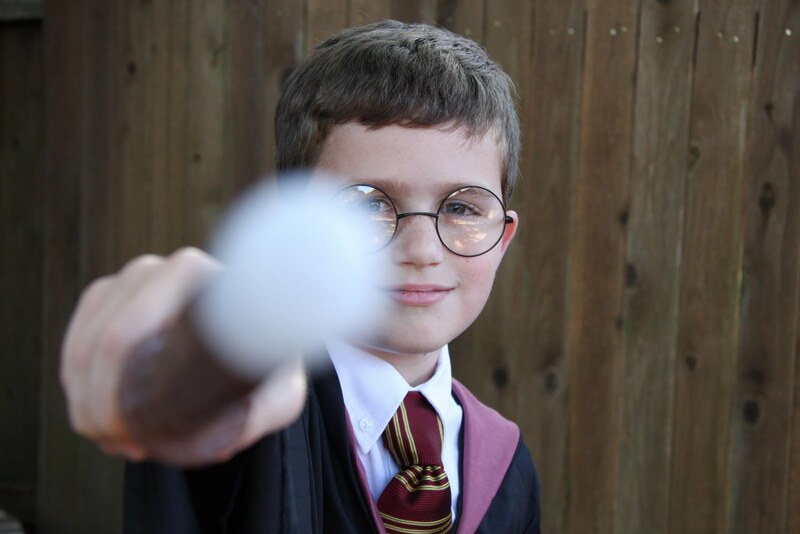 Raise your wand to literature greatness!